Tim has over 20 years’ experience in the construction industry, delivering cost management, project management and lender/ investor technical risk management services for clients in a wide range of sectors. His role as Commercial Consultant at CLPM is focused on project cost management, including preparation of budgets, tendering and compiling contract documents, and Contract Administration. The Contract Administration role provides significant value to clients through effectively assisting them to manage their responsibilities under the contract with the builder, including certifying amounts due for payment in line with work completed on site, assessing variation costs and agreeing the final account. Tim began his career as a project Quantity Surveyor for commercial, residential and custodial schemes based at site locations throughout England with a major construction company. 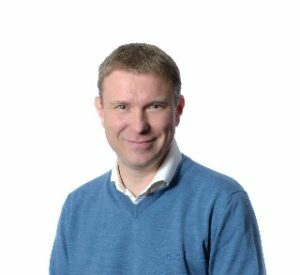 He joined Gleeds Management Services’ project management team, operating in London and the South East, and delivering project management and Employer’s Agent/ Contract Administration services for residential and education sector projects, where he added the PPP/ PFI Independent Certifier role to his experience. Tim then joined EC Harris (now Arcadis) where he concentrated on Employer’s Agent roles and Technical Risk Management for the Financial Institutions Sector. This role involved the early identification of potential project risks and provision of technical advice to project lenders and investors prior to lending and throughout the construction and operation phases of the projects. Tim led the consultancy services for a wide variety of projects across varied sectors, including healthcare, custodial, commercial, sports, hotels, defence and residential. He was responsible for leading commissions including exclusive residential properties in central London, construction of hotels ranging from 3-star to 5-star accommodation, to £1Bn+ multi-phase multi-site PFI schemes. During his time with Arcadis, Tim led the Technical Risk Management team including coaching and development of staff, resourcing to deliver client outputs and ensuring quality of services provided and advice given. In his spare time Tim enjoys cycling (now that his knees won’t let him play squash or football, or go running!) and spending time with his family.